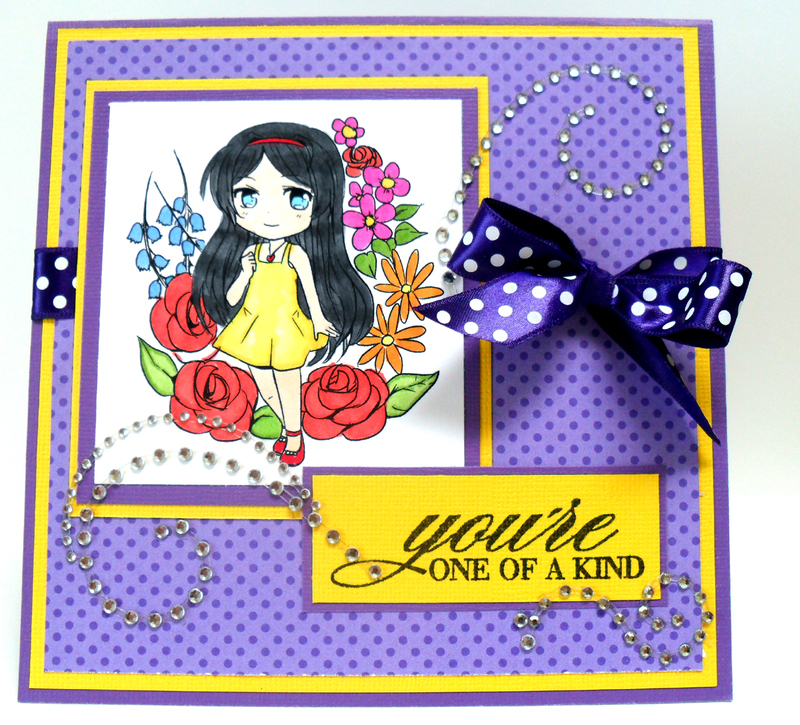 Today, I'm sharing a card made with a digi by a company I recently discovered: Crafty Sentiments. I used this digi of a sweet girl surrounded by a bunch of pretty flowers. It was fun using a variety of different colors for all the flowers. I decided to go with a purple and yellow color scheme for the patterned paper and cardstock. 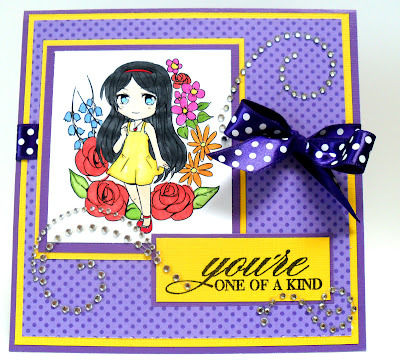 I added some pretty ribbon, a sentiment by Hero Arts, and some bling. Thanks for stopping by! Be sure to check out all the cute digi's over at Crafty Sentiments! Adorable image, fabby creation. Great JOB!